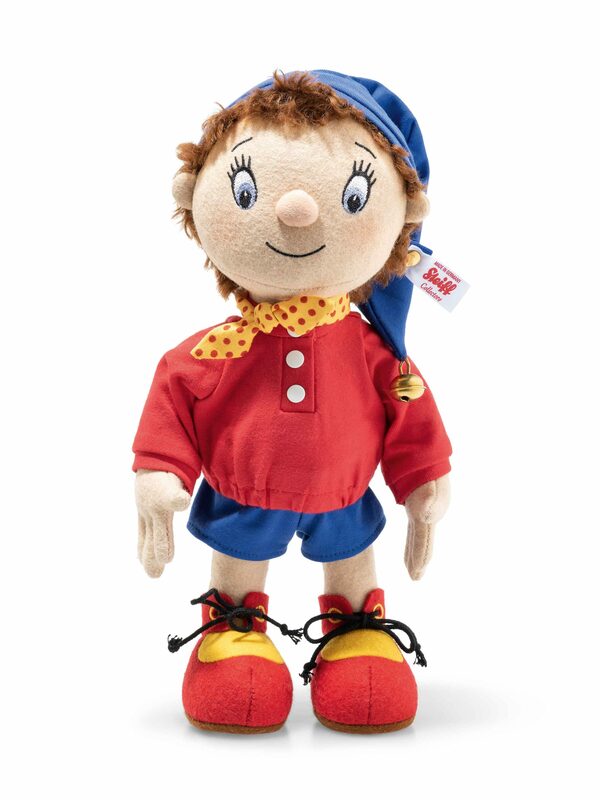 Created by Enid Blyton and first published in 1949 we are delighted celebrate Noddy’s 70th birthday with this truly outstanding interpretation of the joyful character from Toyland. As a self-employed taxi driver, Noddy loves driving his friends around Toyland in his little red and yellow taxi. The other toys can hear him coming by the distinctive “Parp, Parp” sound of his taxi’s horn and the jingle of the bell on his blue hat. Often he uses his car to visit all of the places in Toyland helping people wherever he can. And when he needs help he turns to his best friend Big Ears. Big Ears after all is the most important figure in his life as it was Big Ears who brought him to Toyland. Whenever he faces serious peril, it tends to be Big Ears who comes to the rescue, one way or another, and it is invariably Big Ears to whom Noddy turns for support and reassurance. 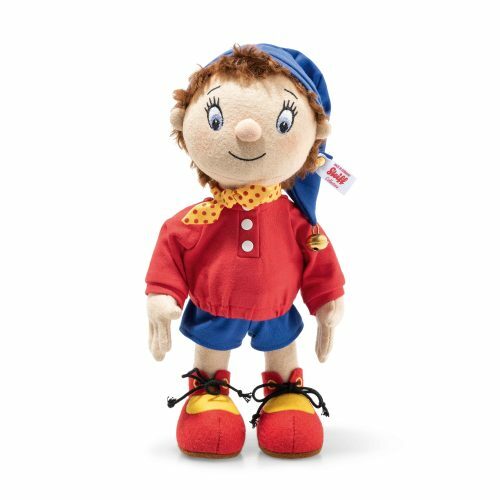 Whether you are looking for a best friend for your hug or a hug from a little best friend, take Noddy home and add a spoonful of joy to your collection. Noddy is made of felt and jointed only at the neck.